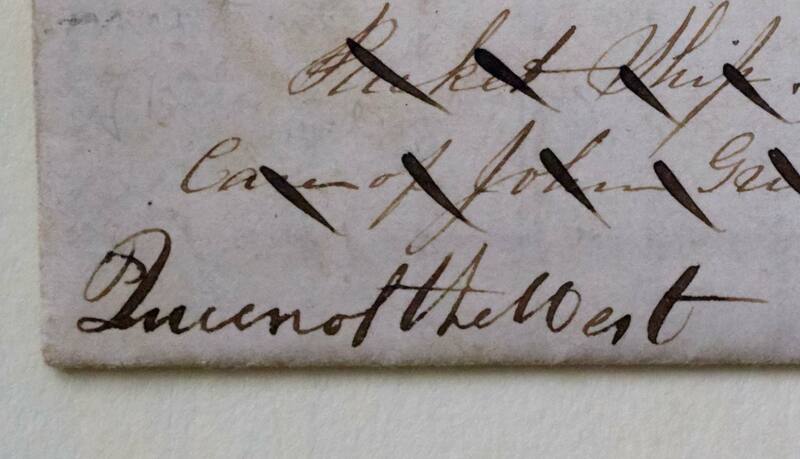 Rather than sealed in a separate envelope, these early letters were single sheets of paper, folded in such a way that two sides, known as covers, were left blank. 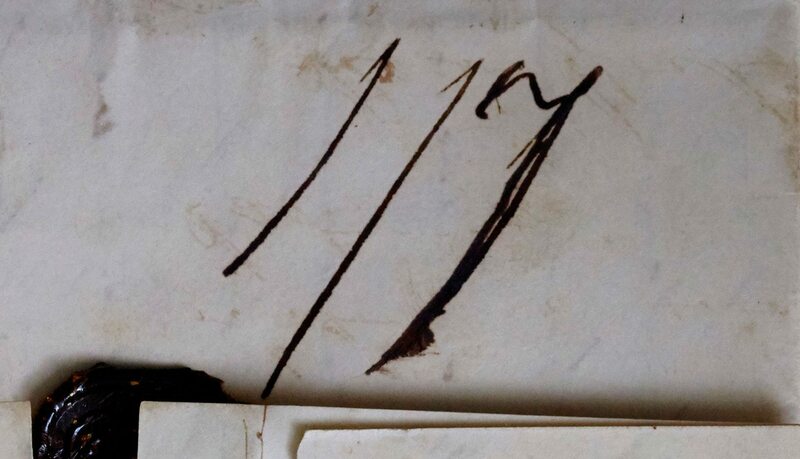 The front cover was used for the address and outgoing postage marks. 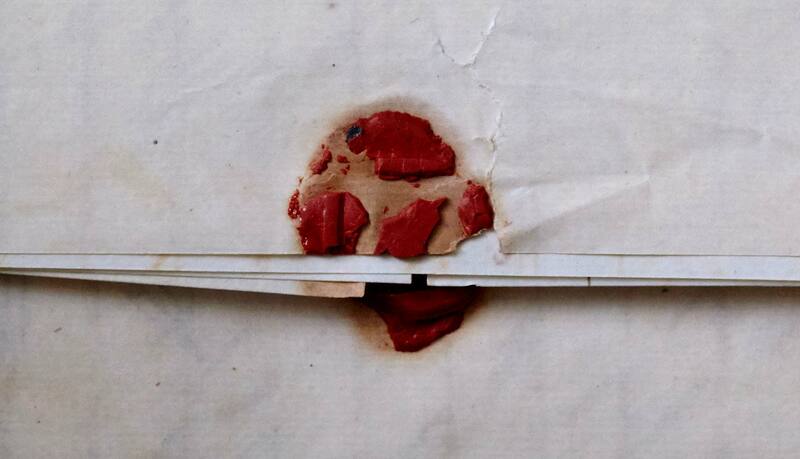 The back cover often shows a broken wax seal. 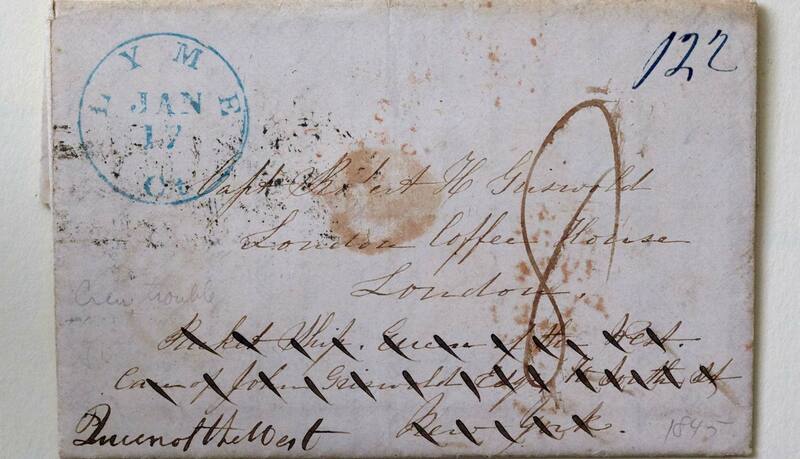 By the end of a letter’s journey from sender to recipient, both sides often were marked with an array of handwritten notations and inked stamps. 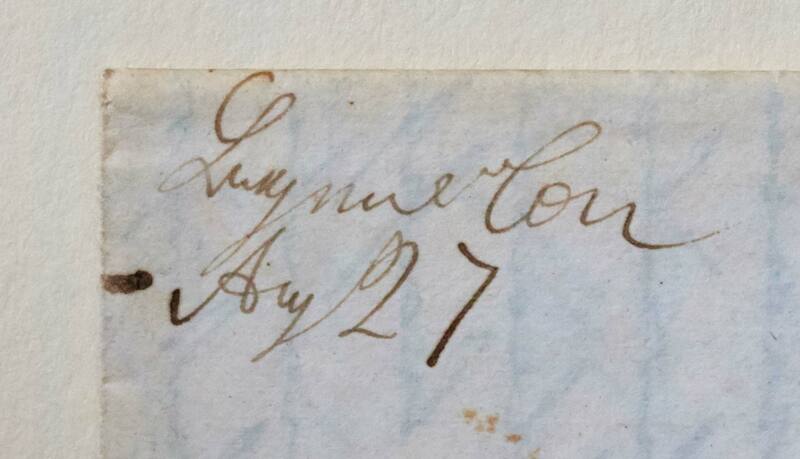 In the upper left corner, this is called a manuscript postmark and was added by the Lyme Post Master, Charles W. Wait (postmaster between 1827-1871, except for 1845) denoting when the letter officially arrived at the Lyme Post Office. 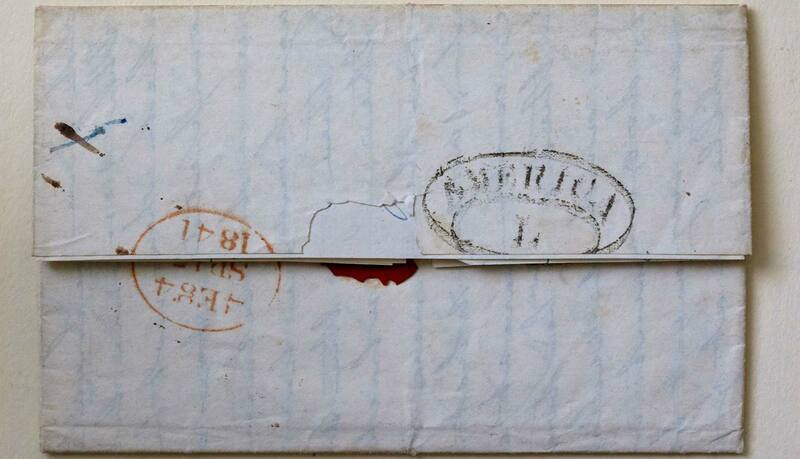 The cost to post a letter comprised of a single sheet of folded paper between 80 and 150 miles was 12 ½ cents. 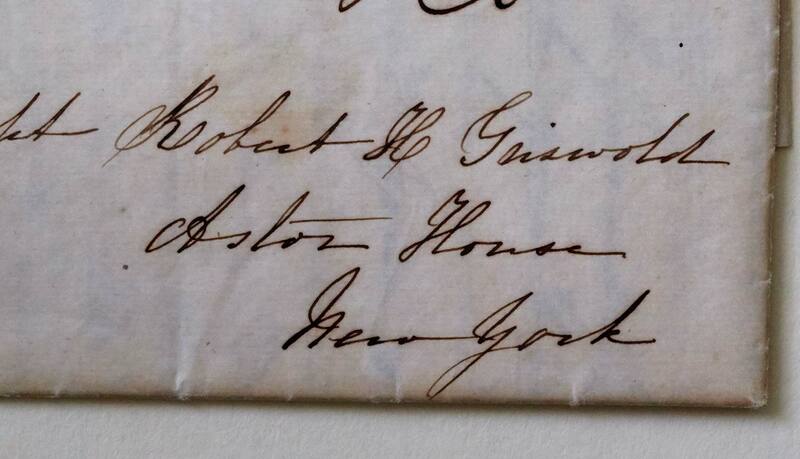 From Lyme, this was the standard fee for letters sent to New York or Boston. 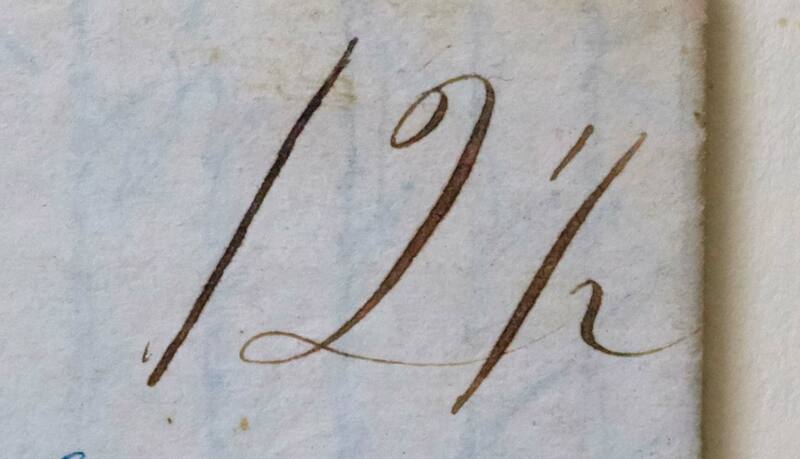 Extra postage was required for thicker or heavier letters. 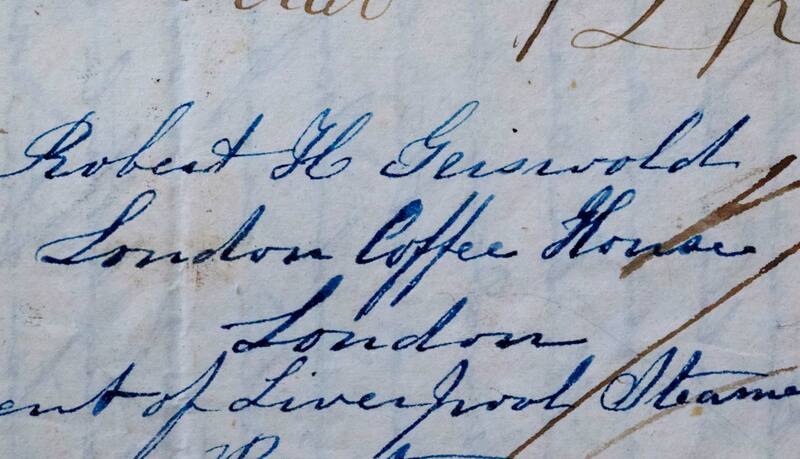 The London Coffee House was a popular place to send mail to be collected by the recipient rather than from an official British post office. As a ship captain, Robert was likely delivering mail from his ship to the Coffee House as well. 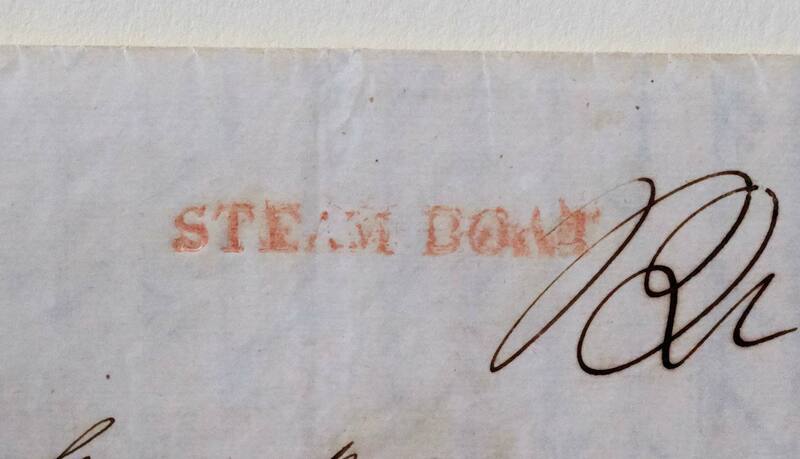 This letter traveled from Lyme to New York via one of the many steam boats that sailed down the Connecticut River from Hartford and along the Connecticut shore of Long Island Sound on a daily basis. 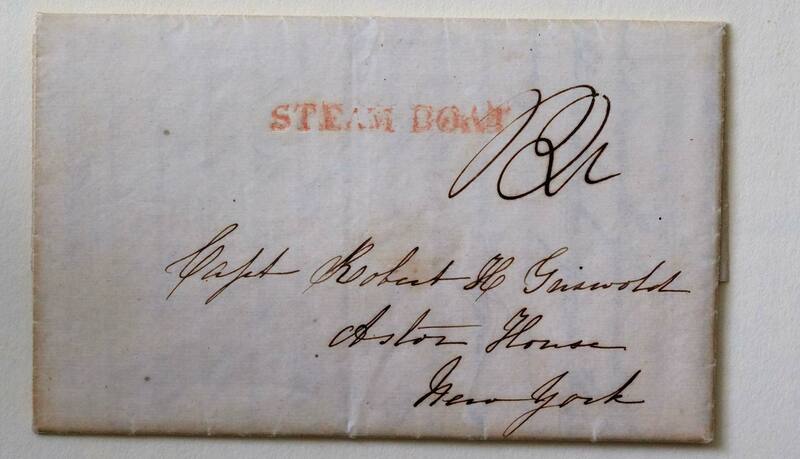 Letters coming from New York to Lyme on the Steam Boats were routed through a Mr. Bacon at the ferry. Captain Robert often stayed at the Astor House while preparing for the impending voyage. The grand hotel opened in 1836 on Broadway between Vesey and Barclay, very near the New York City Hall. 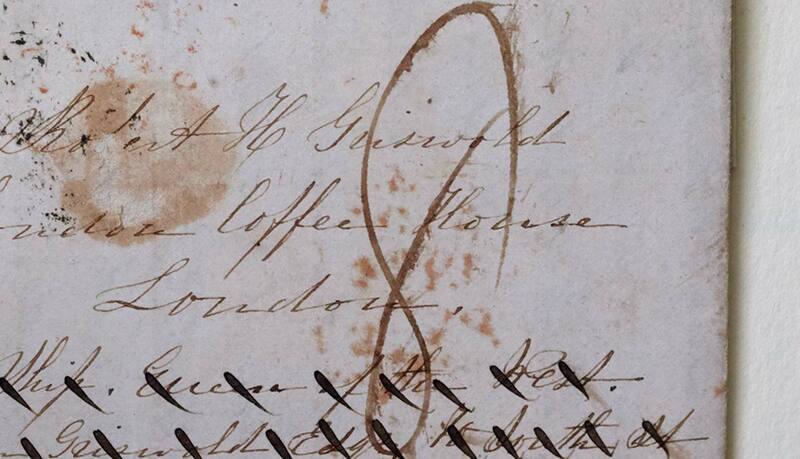 In 1848, a room at the Astor House was $2 a day. 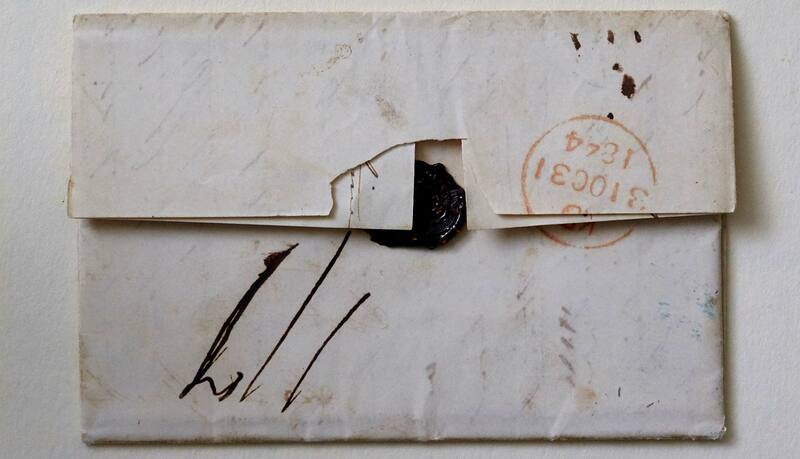 The letter is sealed with melted wax that is pressed with a metal seal stamp that cools and hardens the wax. 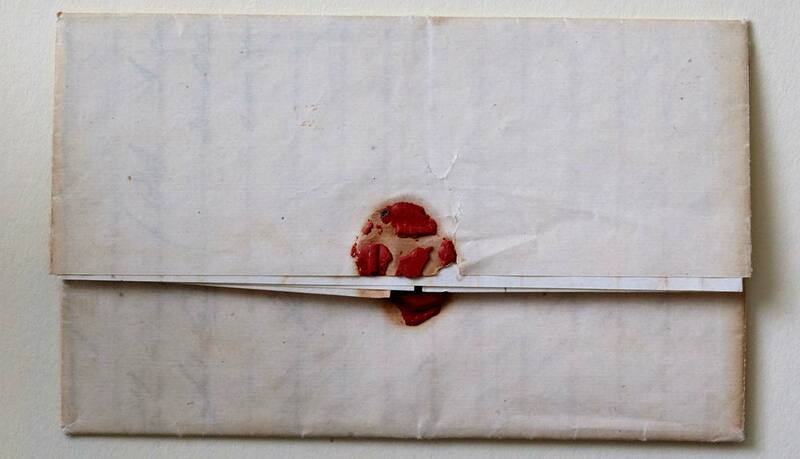 Wax seals are difficult to open undetected and helped to assure that letters remained private. 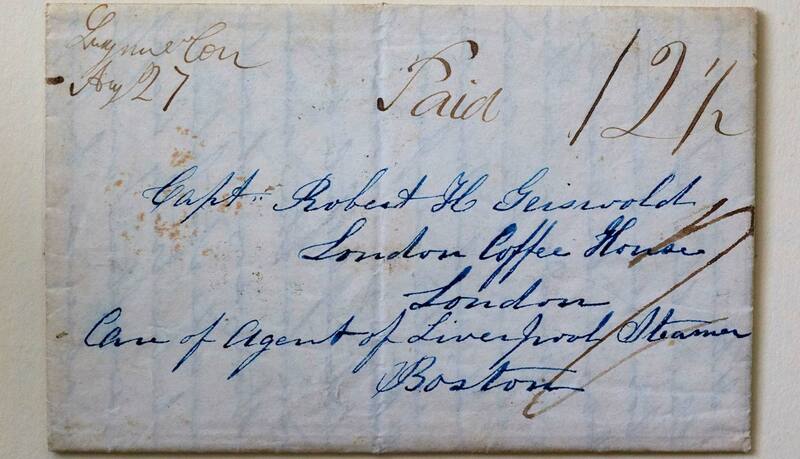 The name of the packet boat that carried the letter to England. 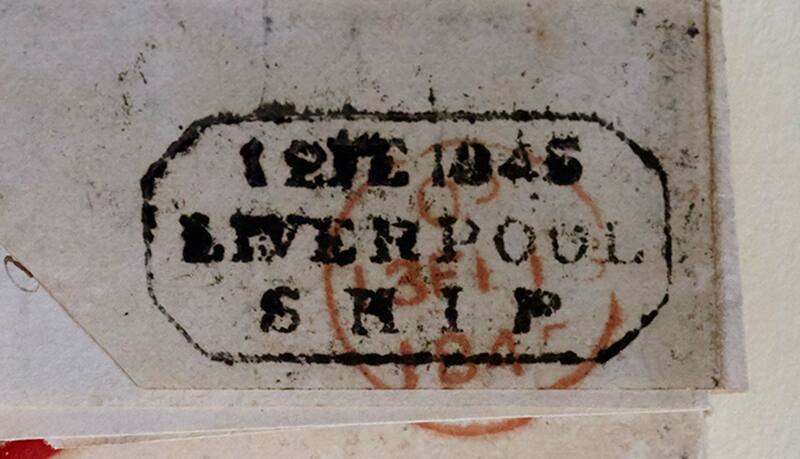 Ship was in the New Line of Liverpool packets, which sailed on January 21, 1845. Its average westbound passage was 33 days. 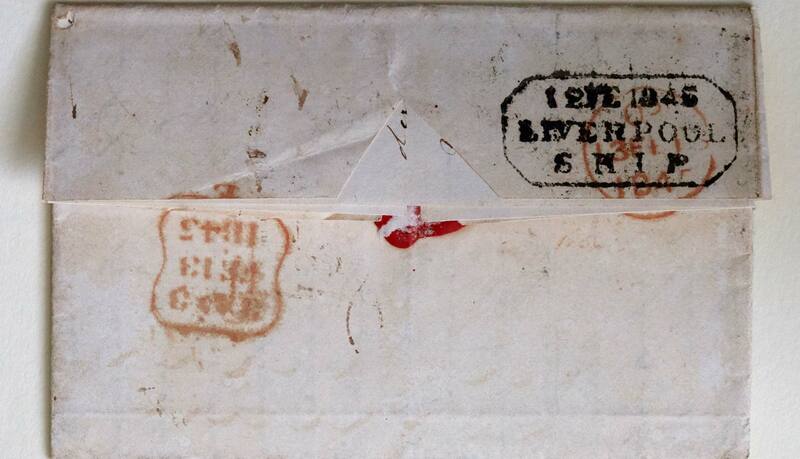 This is a Liverpool receipt stamp for February 12, 1845, 22 days after the Liverpool packet set sail on January 21st. 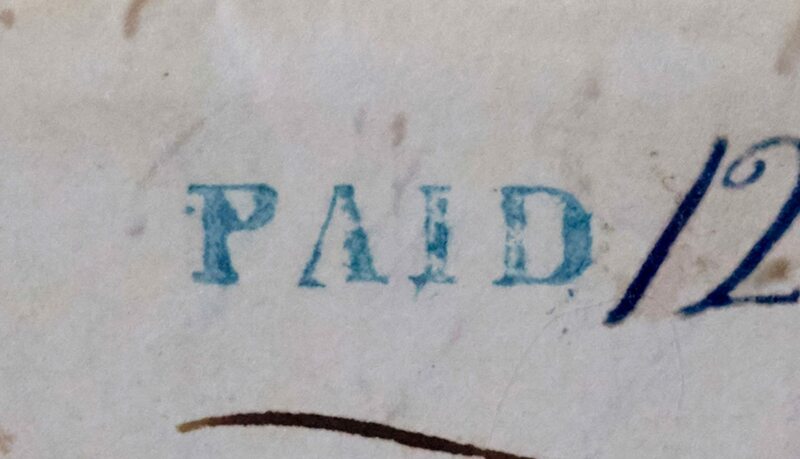 The stamped “Paid” denotes that postage was collected at the Lyme Post Office from the sender. 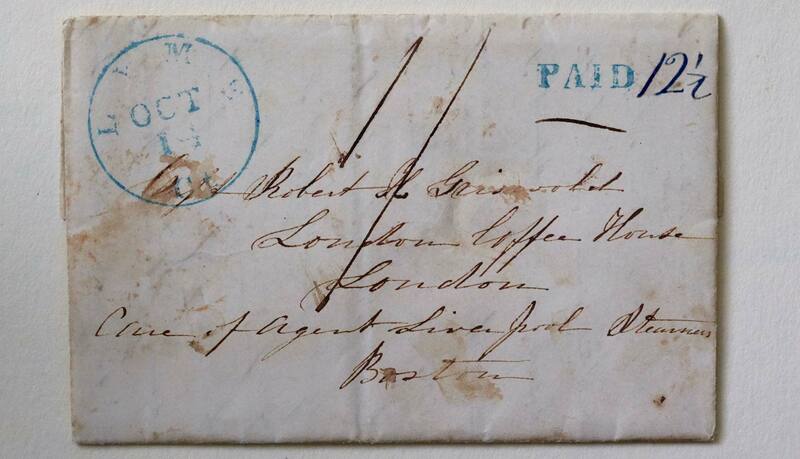 Before April 1, 1855, mail could be sent either pre-paid or postage due, to be paid by the recipient.